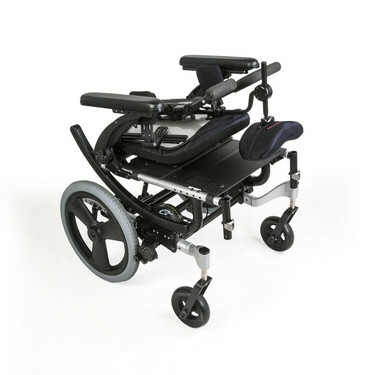 The ultimate tilt-in-space wheelchair, the Quickie IRIS Manual Tilt Wheelchair features up to 55° of Intelligent Rotation in Space Technology, the broadest range of positioning and caregiver options, numerous adjustments, and it's one of the lightest tilt-in-space wheelchairs available today. The color options shown are for reference only. They are not intended as accurate representations. 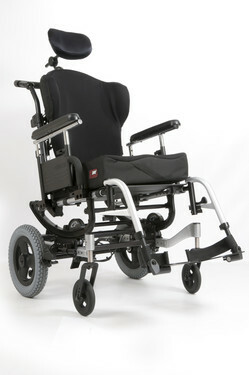 Refer to the Quickie Color Brochure or a Quickie Color Ring for representations of Quickie colors. 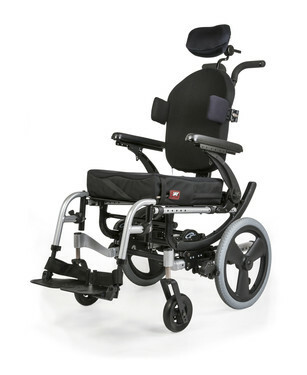 Intelligent Rotation in Space technology means the seat frame rotates around the user's center of gravity. 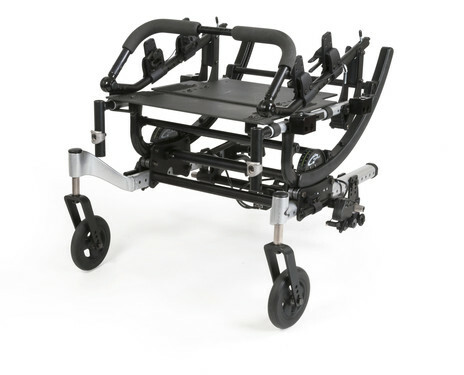 This results in a smooth tilting motion that is easy for you to control and allows for the shortest possible wheelbase that is easy for you to maneuver. 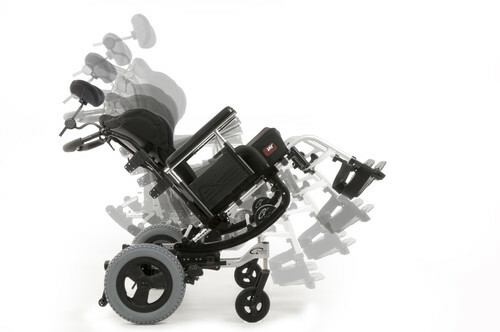 The IRIS manual wheelchair features 40° or 55° rotation ranges that can be set to achieve up to 45° or 60° of posterior rotation for superior positioning. 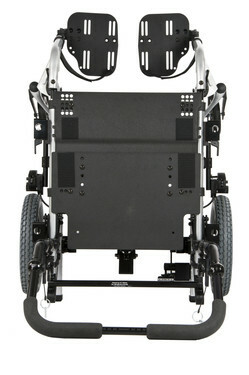 The Quickie IRIS now features a new Standard weight capacity of 300 lbs and Heavy Duty weight capacity of 400 lbs. 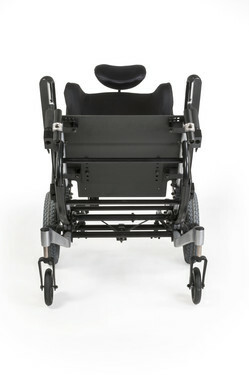 The new JAY Lower Extremity Support option is fully integrated into the Quickie IRIS hanger mount. 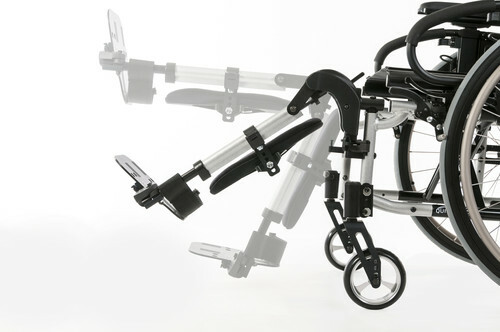 The swing in/out latch mechanism design makes changing hangers from the lower extremity support a very intuitive process. 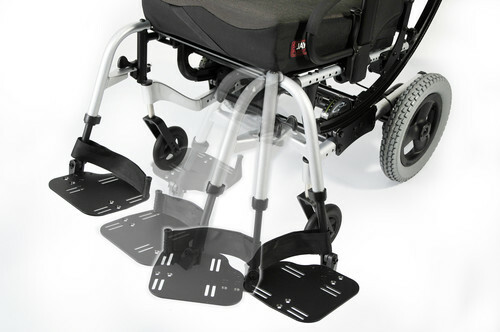 Available in two pad sizes, the technology allows for vertical and horizontal angle adjustment to achieve the proper support for our clients' needs. 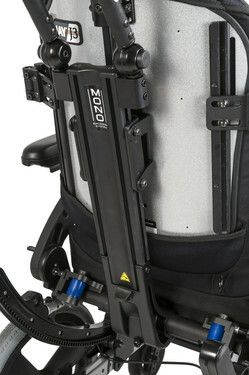 The MONO Backrest System's single-post offers limitless seating and positioning capabilities. 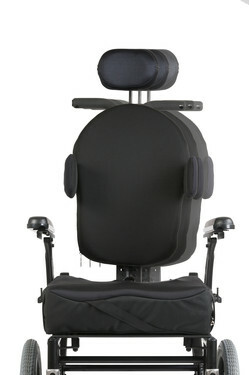 By mounting the backrest to a single central post, the backrest and chair widths may be selected independently, hardware interference is eliminated to allow for infinite adjustment of lateral thoracic supports, and the backrest can achieve 2” of midline backrest offset. 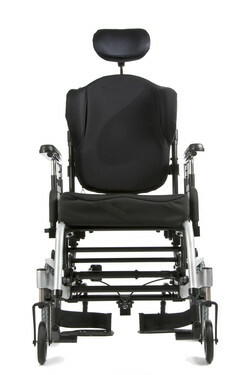 The MONO Backrest System offers an optional dynamic function, 35° angle adjustment, and folds forward for easy transport. 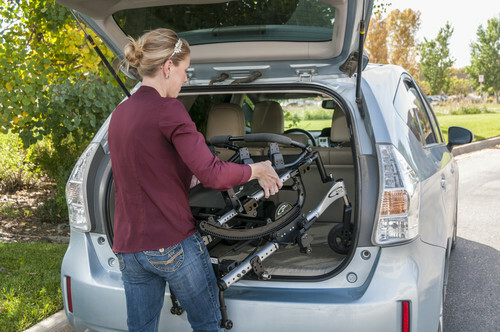 The IRIS's new swing-in/swing-out hanger design features an intuitive bi-directional release lever that follows your hand's movement. 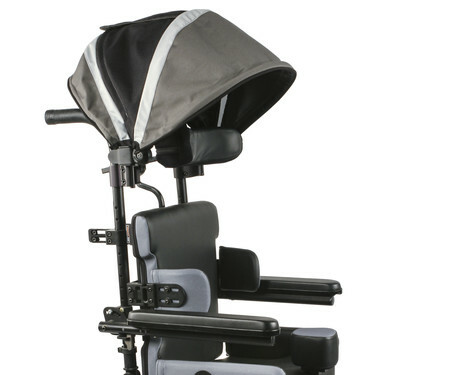 A tapered locking mechanism prevents the hanger from loosening over time. 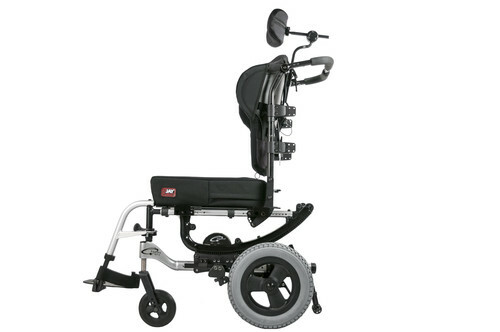 The Elevating/Articulating Legrest includes 2" of height adjustment to better align with the knee joint for a natural motion. Audible clicks index its position as it is elevated. 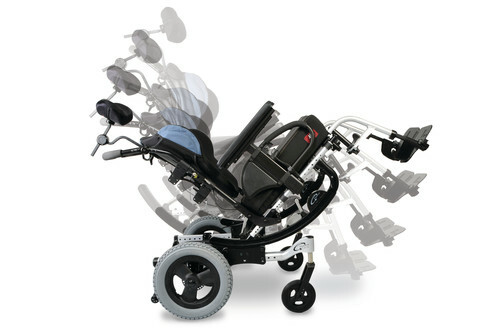 The improved latch mechanism allows swapping between swing-in/swing-out hangers and ELR/ALR without additional hardware. 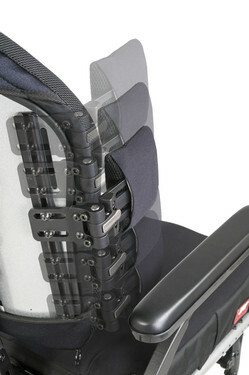 User Weight Capacity Standard: 300 lbs. Average Shipping Weight Boxed: 90 lbs. and 15 lbs. 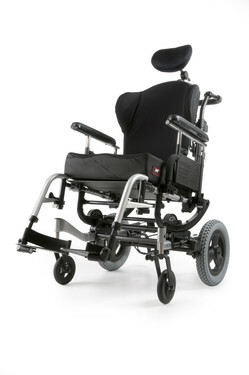 Seat Widths 14" to 22"
Seat Depths 14" to 22"
Front Seat-to-Floor Height 12.5" to 19"
Rear Seat-to-Floor Height 12.5" to 19"
Back Height 15" to 21" or 18" to 24"
Hub Lock 12" or 16"